Slavko Sedlar was one of the first poets from the former Yugoslavia who began to write, publish, and teach haiku, thus persistently spreading the knowledge about this poetic genre in Serbian language. He was born in Jezersko near Krupa in Bosanska Krajina. During WWII he found himself, like other young Serbs who survived the war, in Vojvodina war orphanages, and afterwards in boarding schools in Vršac, Rijeka, and Belgrade, where he completed his education. In 1980, with a haiku seminar held by Aleksandar Nejgebauer, he adopted haiku with Zen and discovered a new world, a world where he was to forget the Christian teachings and principles he had adopted until that time. Тhe seminar developed into the so-called "Haiku class", that is, a haiku school organized at the Vršac Literary Community, where Sedlar instructed haiku beginners. 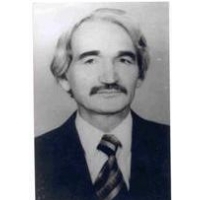 In 1982, he started the Yugoslav poetry/haiku marathon of Vršac, to which a haiku contest was added in 1985, the first and, for several years, the only one in the country. His haiku have been published in a number of literary journals, in his country and abroad, in Serbian and other languages. of haiku contests, he has awarded many haijin. Rain  and snow. . . Credits: "During milking" - Mainichi Shimbun (1987); Sunday Mainichi (1987) and Ko (1987). Haïku sans frontières (Orleans, Ontario, Canada, 1988); Four Seasons [edited by Koko Kato] (1991); "Rain and snow" - Three Lights Gallery/snowdays [online]; "spring noon" - The Heron's Nest X:2 (2008); "Every drop" - Asahi Haikuist Network (April 4, 2008); "Moorland" - World Haiku Review 6:5 (2008); "My childhood oak" - Sketchbook (Nov/Dec 2009).